Who replaced IRL physics with Farming Sim physics? "wait john i still have to test the new spider-man tecnology in that wall"
maybe there's a glue on the tire! Nothing climbs like a Deere. 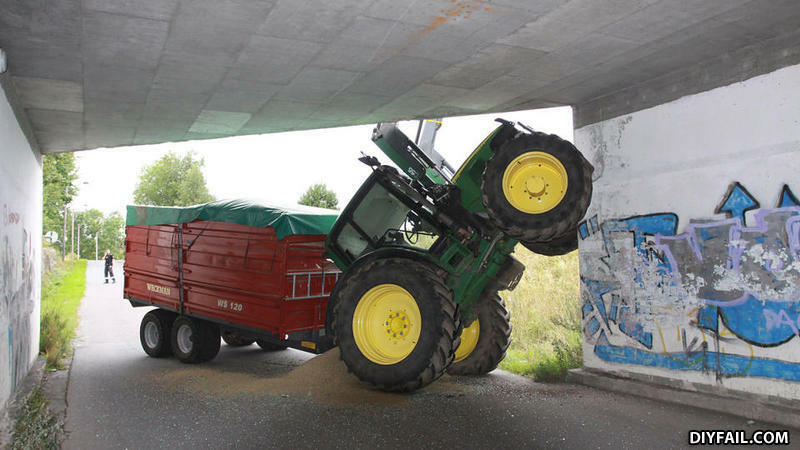 Warning: Tractors get REALLY angry when they see graffiti. why did the black guy cross the street? to get to the package store.